Lincoln LaPaz (February 12, 1897 – October 19, 1985) was an American astronomer from the University of New Mexico and a pioneer in the study of meteors. The University of New Mexico is a public research university in Albuquerque, New Mexico. Founded in 1889, UNM offers bachelor's, master's, doctoral, and professional degree programs in multiple fields. Its Albuquerque campus encompasses over 600 acres (2.4 km²), and there are branch campuses in Gallup, Los Alamos, Rio Rancho, Taos, and Los Lunas. UNM is categorized as an R1 doctoral university in the Carnegie Classification of Institutions of Higher Education. He was born in Wichita, Kansas on February 12, 1897 to Charles Melchior LaPaz and Emma Josephine (Strode). He earned his Bachelor of Arts in 1920 in mathematics at Fairmont College (presently Wichita State University) and also taught there between 1917 and 1920. He earned his master's degree via a scholarship at Harvard University, completed in 1922. On June 18, 1922, he married Leota Ray Butler and later had two children, Leota Jean and Mary Strode. Between 1922 and 1925 he taught at Dartmouth College. Wichita is the largest city in the U.S. state of Kansas and the county seat of Sedgwick County. As of 2017, the estimated population of the city was 390,591. Wichita is the principal city of the Wichita metropolitan area which had an estimated population of 644,610 in 2015. He received his Ph.D. in 1928 at the University of Chicago, where he instructed for a short time and acted as National Research Fellow. 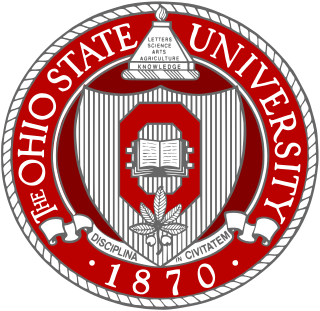 In 1930, he was assistant professor at Ohio State University and became associate professor in 1936 and finally professor in 1942, where he helped develop the graduate mathematics program. LaPaz took leave from Ohio State to the New Mexico Proving Ground during World War II where he was a Research Mathematician, and later as Technical Director, Operations Analysis Section, Second Air Force. This is where he became interested in ballistics as well as meteorites. His work with the Second Air Force included investigation of Japanese Fu-Go balloon bombs that had reached the United States. A Fu-Go, or fire balloon, was a weapon launched by Japan during World War II. A hydrogen balloon with a load varying from a 15 kg (33 lb) antipersonnel bomb to one 12-kilogram (26 lb) incendiary bomb and four 5 kg (11 lb) incendiary devices attached, it was designed as a cheap weapon intended to make use of the jet stream over the Pacific Ocean and drop bombs on American and Canadian cities, forests, and farmland. In 1945, he worked at the University of New Mexico where he founded the Institute of Meteoritics, of which he was Director until 1966. The Lake Murray Meteorite, the largest of its kind ever found in Oklahoma and now ranked as the fifth largest in the world, was discovered on a farm in Carter County, Oklahoma in 1933. At that time it was considered the largest known specimen in the world. The farm was sold to the state of Oklahoma about the same time for the creation of Lake Murray State Park, for which the specimen was named. The largest piece is on display at the park. In ufology, LaPaz's name is often associated with UFO investigations on behalf of the military during the late 1940s and early 1950s. These include Roswell UFO incident of 1947, the N.M. green fireballs, that began in late 1948 and continued through the 1950s, and the search for near-Earth orbiting satellites in 1954 along with fellow N.M. astronomer Clyde Tombaugh. However, only LaPaz's association with the green fireball investigations for the Air Force is thoroughly documented and a historical fact. His second sighting was of a green fireball, soon after he began his investigations into the phenomenon for the Air Force in December, 1948. The sighting was on December 12 and the phenomenon was also seen over Los Alamos, enabling LaPaz to perform a triangulation. This showed the object's path was directly over the very sensitive Los Alamos. In a classified letter to the Air Force on December 20, LaPaz wrote that the object moved far too slowly to have been a meteor and left no "trail of sparks or dust cloud" as would be typical of meteors flying at low altitudes. Other anomalous characteristics were the intense lime-green color, low altitude of only 8–10 miles yet exhibiting no sound, flat rather than arced trajectory, and turning on and off like a light switch. Investigating many other green fireball sightings, LaPaz reached similar conclusions and decided they were probably artificial in origin, perhaps Russian spy devices. (see green fireballs for details) LaPaz's green fireball investigations were also mentioned in the 1952 LIFE magazine article, and his wife also made a painting of a green fireball. 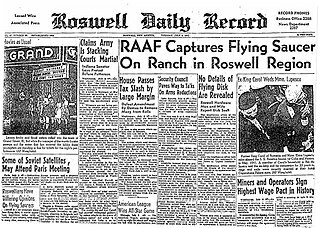 Regarding the 1947 Roswell incident, at least three witnesses, including two involved with Army and Air Force counterintelligence, claimed that LaPaz was brought in after the Roswell UFO incident to interview witnesses and reconstruct the trajectory of the crash object. However, UFO researcher Karl T. Pflock discovered some facts that might call into question some aspects of this testimony. For example, one of the purported witnesses to LaPaz's Roswell involvement claimed that LaPaz spoke fluent Spanish, but by interviewing family members, Pflock discovered that LaPaz did not speak any Spanish[ citation needed ]. In 1964 LaPaz was also involved peripherally in the investigation of the famous Socorro UFO incident, in which a Socorro policeman named Lonnie Zamora saw a small egg-shaped object land, saw two humanoid figures near the object, and then when he approached to within 50 feet, the object blasted off and rapidly disappeared. LaPaz interviewed Zamora and vouched for him as a witness. ↑ "Rare Meteorite Found, Exhibited In State Park." Resourceful Oklahoma. Volume 3, Number 10, October,1952. Retrieved July 25, 2014. ↑ LIFE article summary Archived 2007-05-17 at the Wayback Machine . ↑ affidavit of Ed Zimmerman; other witnesses were M/Sgt. Lewis Rickett of the Army Counterintelligence Corp (CIC), who said he assisted LaPaz in the investigation of the Roswell object, and Canadian archeologist Boyd Wettlaufer, once a student of LaPaz's, who said LaPaz discussed it with him in 1950 while both were working near the Winslow meteor crater. Clyde William Tombaugh was an American astronomer. He discovered Pluto in 1930, the first object to be discovered in what would later be identified as the Kuiper belt. At the time of discovery, Pluto was considered a planet but was later controversially reclassified as a dwarf planet in 2006. Tombaugh also discovered many asteroids. He also called for the serious scientific research of unidentified flying objects, or UFOs. An unidentified flying object (UFO) is an object observed in the sky that is not readily identified. Most UFOs are later identified as conventional objects or phenomena. The term is widely used for claimed observations of extraterrestrial spacecraft. UFO conspiracy theories argue that various governments, and politicians globally, most notably the officials of Washington, D.C., are suppressing evidence of extraterrestrial unidentified flying objects and alien visitors. Such conspiracy theories commonly argue that Earth governments, especially the Government of the United States, are in communication or cooperation with extraterrestrials despite public claims to the contrary, and further that some of these theories claim that the governments are explicitly allowing alien abduction. In mid-1947, a United States Army Air Forces balloon crashed at a ranch near Roswell, New Mexico. Following wide initial interest in the crashed "flying disc", the US military stated that it was merely a conventional weather balloon. Interest subsequently waned until the late 1970s, when ufologists began promoting a variety of increasingly elaborate conspiracy theories, claiming that one or more alien spacecraft had crash-landed and that the extraterrestrial occupants had been recovered by the military, which then engaged in a cover-up. Ufology is the study of reports, visual records, physical evidence, and other phenomena related to unidentified flying objects (UFO). UFO reports have been subject to various investigations over the years by governments, independent groups, and scientists. However, ufology, as a field, has been rejected by modern academia and is considered a pseudoscience. 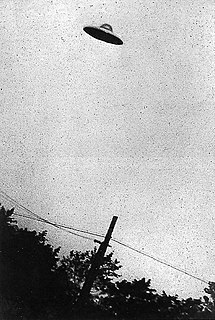 The Kecksburg UFO incident occurred on December 9, 1965, at Kecksburg, Pennsylvania, United States when a fireball was reported by citizens of six U.S. states and Canada over Detroit, Michigan and Windsor, Canada. Astronomers said it was likely a meteor bolide burning up in the atmosphere and descending at a steep angle. NASA released a statement in 2005 reporting that experts had examined fragments from the area and determined they were from a Russian satellite, but records of their findings were lost in the 1990s. NASA responded to court orders and Freedom of Information Act requests to search for the records. The incident gained wide notoriety in popular culture and UFOlogy, with speculations ranging from alien craft to debris from the Soviet space probe Kosmos 96, and is often referred to as "Pennsylvania's Roswell." Josef Allen Hynek was an American astronomer, professor, and ufologist. He is perhaps best remembered for his UFO research. Hynek acted as scientific advisor to UFO studies undertaken by the U.S. Air Force under three consecutive projects: Project Sign (1947–1949), Project Grudge (1949–1952), and Project Blue Book (1952–1969). Green fireballs are a type of unidentified flying object which have been sighted in the sky since the early 1950s. Early sightings primarily occurred in the southwestern United States, particularly in New Mexico. They were once of notable concern to the US government because they were often clustered around sensitive research and military installations, such as Los Alamos and Sandia National Laboratory, then Sandia base. The Lubbock Lights were an unusual formation of lights seen over the city of Lubbock, Texas, in August and September 1951. The Lubbock Lights incident received national publicity in the United States and is regarded as one of the first great UFO cases in that country. The Lubbock Lights were investigated by the U.S. Air Force in 1951. The Air Force initially believed the lights were caused by a type of bird called a plover, but eventually concluded that the lights "weren't birds... but they weren't spaceships...the [Lubbock Lights] have been positively identified as a very commonplace and easily explainable natural phenomenon." However, to maintain the anonymity of the scientist who had provided the explanation, the Air Force refrained from providing any details regarding their explanation for the lights. The Center for UFO Studies (CUFOS) is a privately funded UFO research group. The group was founded in 1973 by J. Allen Hynek, who at the time was Chair of the Department of Astronomy at Northwestern University in Illinois. The Lonnie Zamora incident was an alleged UFO close encounter which occurred on Friday, April 24, 1964, at about 5:50 p.m., on the outskirts of Socorro, New Mexico. Several primary witnesses emerged to report their version of the event, which included the craft's approach, conspicuous flame, and alleged physical evidence left behind immediately afterward. Lonnie Zamora, a Socorro police officer who was on duty at the time, claimed to have come closest to the object and provided the most prolonged and comprehensive account. Some physical trace evidence left behind—burned vegetation and soil, ground landing impressions, and metal scrapings on a broken rock in one of the impressions—was subsequently observed and analyzed by investigators for the military, law enforcement, and civilian UFO groups. Identifying unidentified flying objects is a difficult task due to the normally poor quality of the evidence provided by those who report sighting the unknown object. Observations and subsequent reporting are often made by those untrained in astronomy, atmospheric phenomena, aeronautics, physics, and perception. Nevertheless, most officially investigated UFO sightings, such as from the U.S. Air Force's Project Blue Book, have been identified as being due to honest misidentifications of natural phenomena, aircraft, or other prosaic explanations. In early U.S. Air Force attempts to explain UFO sightings, unexplained sightings routinely numbered over one in five reports. However, in early 1953, right after the CIA's Robertson Panel, percentages of unexplained sightings dropped precipitously, usually being only a few percent in any given year. When Project Blue Book closed down in 1970, only 6% of all cases were classified as being truly unidentified. 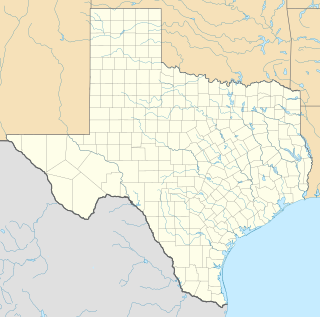 The Levelland UFO case occurred on November 2–3, 1957, in and around the small town of Levelland, Texas. Levelland, which in 1957 had a population of about 10,000, is located west of Lubbock on the flat prairie of the Texas South Plains. The case is considered by ufologists to be one of the most impressive in UFO history, mainly because of the large number of witnesses involved over a relatively short period of time. However, both the US Air Force and UFO skeptics have described the incident as being caused by either ball lightning or a severe electrical storm. The Ellsworth UFO case occurred in 1953. The 1976 Tehran UFO Incident dolat was a radar and visual sighting of an unidentified flying object (UFO) over Tehran, the capital of Iran, during the early morning hours of 19 September 1976. During the incident, two Iranian Air Force F-4 Phantom II jet interceptors reported losing instrumentation and communications as they approached the object. These were restored upon withdrawal. The Chiles-Whitted UFO encounter occurred on July 24, 1948 in the skies near Montgomery, Alabama. Two commercial pilots, Clarence S. Chiles and John B. Whitted, claimed that at approximately 2:45 AM on July 24 they observed a "glowing object" pass by their plane before it appeared to pull up into a cloud and travel out of sight. According to Air Force officer and Project Blue Book supervisor Edward J. Ruppelt, the Chiles-Whitted sighting was one of three "classic" UFO incidents in 1948 that convinced the personnel of Project Sign, Blue Book's predecessor, "that UFOs were real," along with the Mantell UFO incident and the Gorman dogfight. However, later studies by Air Force and civilian researchers indicated that Chiles and Whitted had seen a meteor, possibly a bolide, and in 1959 Project Blue Book formally stated that a meteor was the cause of the incident. Glenn Dennis was a founder of the International UFO Museum and Research Center in Roswell, New Mexico, which opened in September 1991, and self-professed witness to the 1947 Roswell UFO incident. 1st Lt. Walter Haut was the public information officer (PIO) at the 509th Bomb Group based in Roswell, New Mexico during 1947. Early on July 8, 1947 he was ordered by the base commander, Colonel William Blanchard, to draft a press release to the public, announcing that the United States Army Air Forces had recovered a crashed "flying disc" from a nearby ranch. The press release garnered widespread national and even international media attention. The U.S. Army Air Force retracted the claim later the same day, saying instead that a weather balloon had been recovered. Haut also received some criticism and ridicule in the nation's press for putting out the original press release. The series of events eventually became known as the Roswell UFO Incident. The Lakenheath-Bentwaters Incident was a series of radar and visual contacts with Unidentified flying objects (UFO) that took place over airbases in eastern England on the night of 13–14 August 1956, involving personnel from the Royal Air Force (RAF) and the United States Air Force (USAF). The incident has since gained some prominence in the literature of ufology and the popular media. Jones, Anna. "Lincoln LaPaz, 1897-1985: Mathematician, Meteorite Hunter, Astronomer" . Retrieved 2015-04-01. "Lincoln LaPaz". Department of Mathematics. Ohio State University. Archived from the original on 2013-06-16.